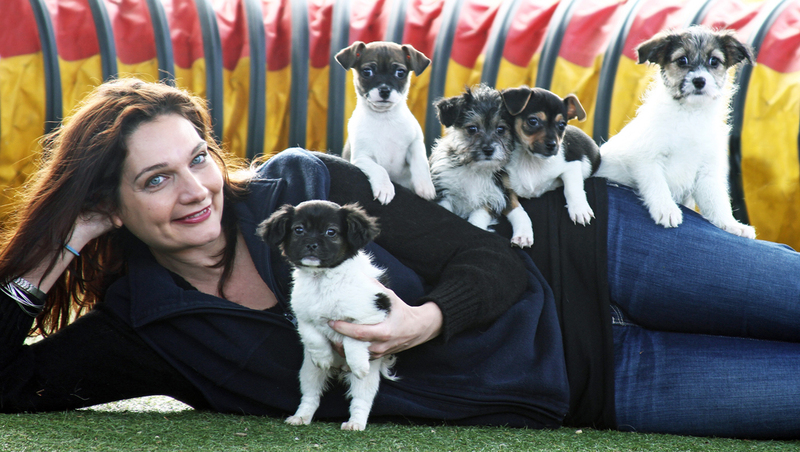 External Programmes Coordinator Alison Travaglia happily posed for a photo with five special puppies to promote The Lost Dogs’ Home‘s Foster Care Program, before sending them home with their new foster carer. At The Lost Dogs’ Home, Foster Carers offer a new lifeline to abandoned puppies and kittens that are not quite ready to be adopted. “We need the extra help of animal lovers to take in very young kittens and puppies, cats and dogs recovering from surgery or medical conditions, underweight dogs and cats, and animals requiring special training or socialisation”, said Alison. “Staff at The Lost Dogs’ Home have long enjoyed the rewards of fostering animals but we now want to offer this incredibly gratifying experience to our supporters and the public”, she added. Animal lovers who can provide a temporary, safe and secure home and have the time to care for an animal in need are urged to apply for the program, with a training workshop for new recruits to begin in early September. This litter of five mixed-breed puppies needed foster parents because they were only seven weeks old. “They need a little extra growing time with one of our new foster carers in a nurturing environment, before going up for adoption. In foster care they will be fed good quality, specialist puppy food, given a warm bed and toys to play with,” she said. “Of course there will also be no shortage of TLC and positive learning experiences to set them up for success in their new home”, Alison added.